At a special event to mark the United Nations International Day of Peace on September 21st, seven-thousand thousand peace-drawings from children around the world were displayed around the perimeter of the Colosseum in Rome. 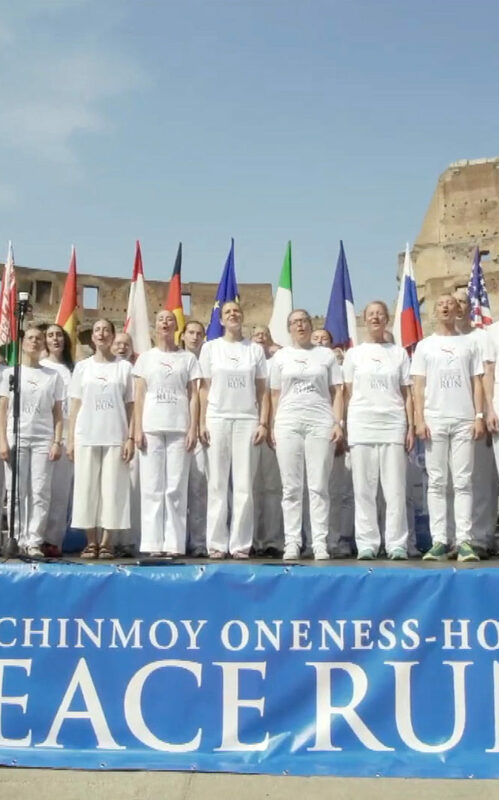 The event, entitled “Colors of Peace” is organised by the Sri Chinmoy Oneness-Home Peace Run with the Patronship of the Chamber of Deputies of the Italian Republic, Regione Lazio, in collaboration with the Archaeological Park of the Colosseum, the Istituto Superiore Morano di Caivano and the Arvalia association, the contribution of Roma Capitale Municipality and with the media partnership of Italian National Broadcaster RAI Gulp. The ceremony also featured an award presentation for the winners of the Peace Movie Award, an international competition under the patronage of the Italian ministries of Education, Universities and Research; and Cultural Heritage and Activities. As part of the competition, schools around the world contributed video clips of 30 seconds or under, defining and celebrating peace in their own way.